Having smuggled a lens and film holder into one of America’s concentration camps during World War II, Toyo Miyatake was among the first to photograph this national disgrace. Yet it was his little-known artistic pursuits before the war that honed his discerning eye. 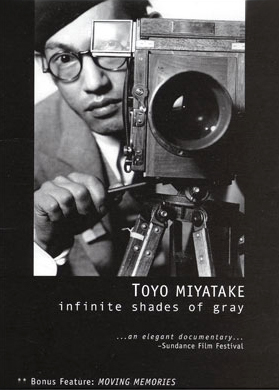 Toyo Miyatake: Infinite Shades of Gray is a penetrating portrait of this photographer’s quest to capture the beauty and dignity of everyday life.